Arnon Milchan, the lead producer and financier of The Reverent, has been personally nominated for an Academy Award, and his film has been nominated for 12 Oscars in total, leading all other 2016 nominees. The nominations came in almost all of the leading categories such as Best Director, Best Actor, and Best Cinematography.... and of course, Best Picture. 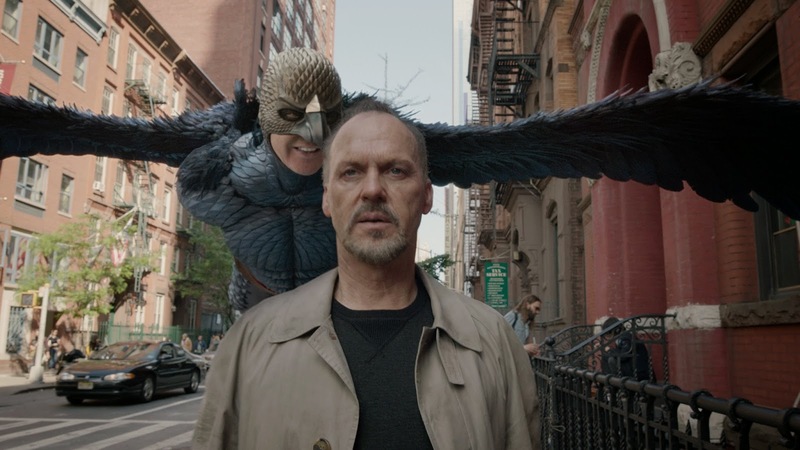 Milchan-produced films have won 'Best Picture' in the past two years, including Twelve Years a Slave and Birdman. But with 12 nominations in hand, The Reverent seems to be the favorite going in, which would make it the third Best Picture in a row should it win. 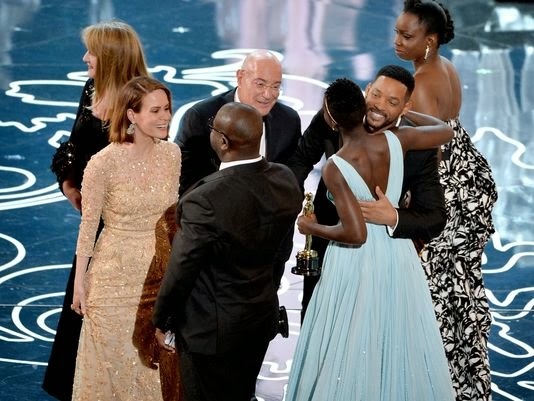 What sets this year apart, however, is that Milchan has been personally nominated, which means that should The Reverent win, he will accept the Oscar on stage and will likely take the opportunity to speak. People who have read the book Confidential and are familiar with Arnon Milchan's backstory will understand the significance of such a moment. As the recent article in New York Magazine states; "...the 71-year-old Milchan himself proves to be a character worthy of an epic." during the 2014 Academy Awards 'Best Picture' win for '12 Years a Slave'. New York Magazine knows a good story when they see one. Arnon Milchan's career and the book Confidential prove to be "worthy of an epic". Arnon Milchan has had an extraordinary run of good fortune since the publication of "Confidential". 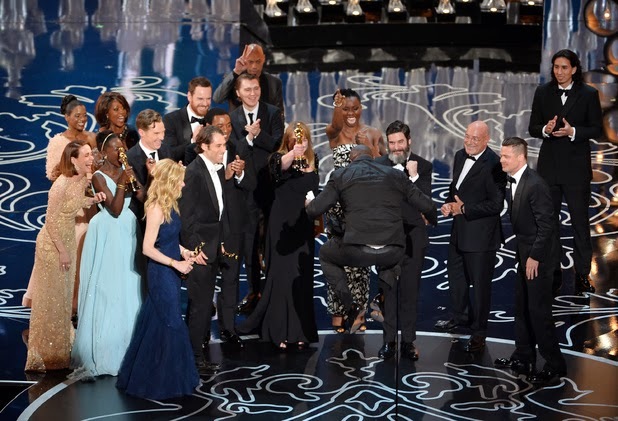 Perhaps it took the liberation from his secretive past, following his outing in the book, and the follow-up documentary, to set him on a business and artistic path that has resulted in what appears to be a likely third 'Best Picture' win in a row at the Academy Awards.... Twelve Years a Slave, Birdman... and now The Reverent? It's enough to drive the army of conspiratorial anti-Semites on the internet who hate him, stark raving mad, and generate a smile for the rest of us. His latest films, The Reverent and The Big Short are currently the most talked about films in the world, as the hype surrounding the release of Star Wars subsides. 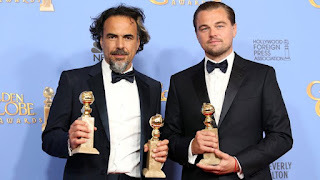 Indeed, it was The Reverent that cleaned up at the Golden Globes last night, winning in the Best Director, Best Actor, and Best Drama categories. 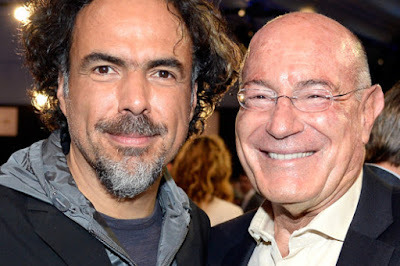 Milchan was named by Director Alejandro Gonzalez Inarritu the 'hero' of the film, sticking with it during almost insurmountable production problems,cost overruns. The 2016 Academy Awards are scheduled for February 28th. Stay tuned. Arnon Milchan on 'Confidential': 70% Right and About 70% of What I Did is Not in There. The Biographical book 'Confidential; The Life of Secret Agent Turned Hollywood Tycoon' has been out since 2011, and has been scrutinized by many media outlets. 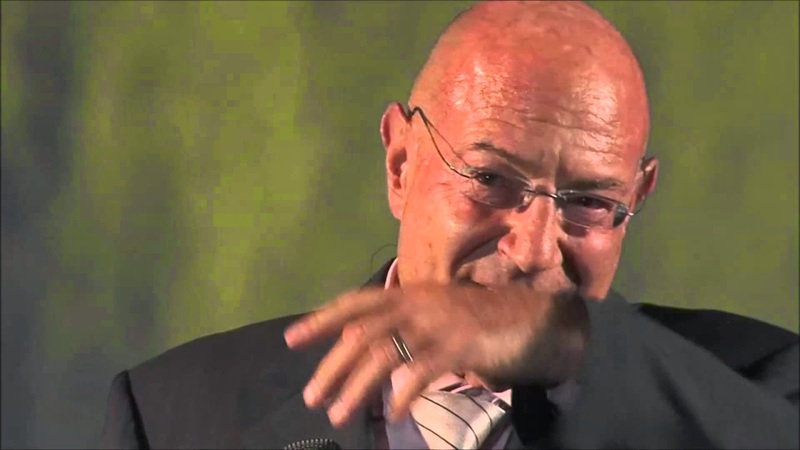 Mr. Milchan has not contested a single contention made in the book, and has confirmed the central elements in it in a 2013 documentary based on the book. 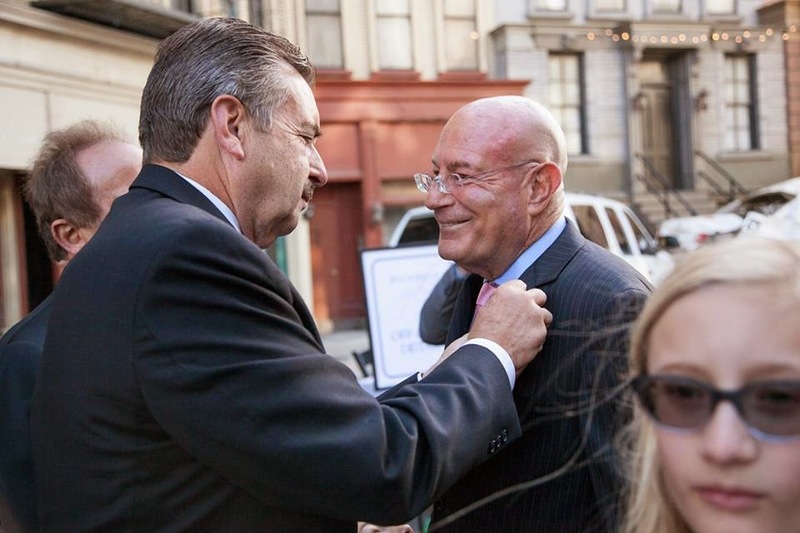 We would like to congratulate Mr. Arnon Milchan as the 2015 honoree of the Malibu Film Society. An excellent choice and a well-deserved honor indeed. Mr. Milchan states that about 70% of his activities were not mentioned in our book. That is entirely possible. 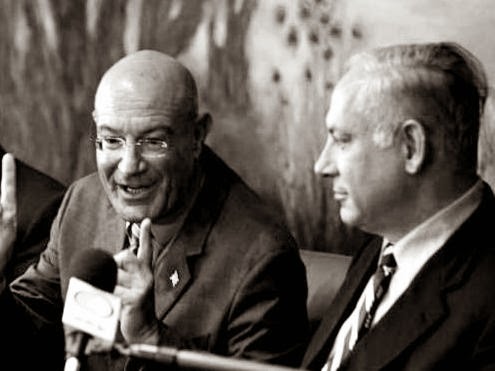 Mr. Milchan was one of the most important and productive secret agents that Israeli intelligence had ever fielded at the time (the 1960-1980's), a very active period. As biographers, for the sake of our own credibility, we were careful to include only material that we felt we could substantiate, and that material was stunning enough, as evidence by the strong media reaction to its publication. Our material was, and is, more than enough to give the reader an accurate overall picture with plenty of jaw-dropping details. There were numerous operations that we became aware of but did not include in our book either for lack of sufficient confirmation, or because we felt that people may actually be physically endangered by the publishing of such information. We also have no doubt that there were operations that we are unaware of. Mr. Milchan did not volunteer the details. We never claimed to have published every detail, we published what was the product of years of serious research and off-the-record interviews with key players, including President Shomon Peres, who personally recruited Mr. Milchan in the 1960's. We believe that what is in the book is accurate, both in spirit and in fact. We did the best we could given the sensitive and deeply confidential nature of the material. In the years since its publication, Mr. Milchan has never challenged the accuracy of a single element. In fact, he has confirmed most of it in a top-rated, hour-long documentary by Israel's leading news program that was largely based on our book. We not only stand by our material, we believe that the assertions we make in our book were actually understated, as hinted, perhaps unintentionally, by Mr. Milchan himself in his comments to the Malibu Times. Mr. Milchan was a genuine James Bond / Jason Bourne type figure, whose pre-Hollywood life is worthy of a movie or action-suspense series itself. We wish him the best, and congratulate the Malibu Film Society for an excellent and well deserving choice for an honoree. 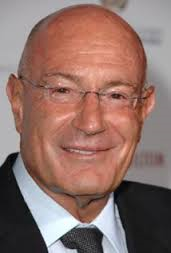 Mr. Milchan is in fact one of the most successful and prolific producers in the history of Hollywood. Again, we stand by our material. Arnon Milchan, a central player in the development of Israel's nuclear program, was a VIP guest, seated in the gallery of the US House of Representatives as Prime Minister Netanyahu delivered his historic speech to a Joint Session of Congress about the dangers of the Iranian nuclear program. Mr. Milchan was seated between Australian billionaire James Packer and Warner Brothers Executive Gary Ginsberg. 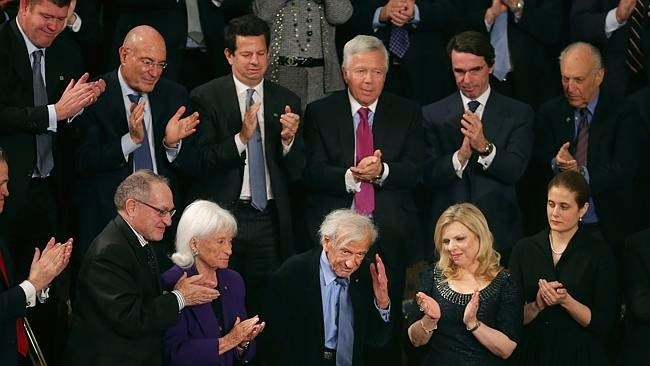 The owner of the the New England Patriots, Robert Kraft, and former Spanish Prime Minister Jose Maria Anzar were seated in the same row, just behind the guest of honor, Nobel Peace Laureate, Eli Wiesel... who was flanked by Sarah Netanyahu and Alan Dershowitz. 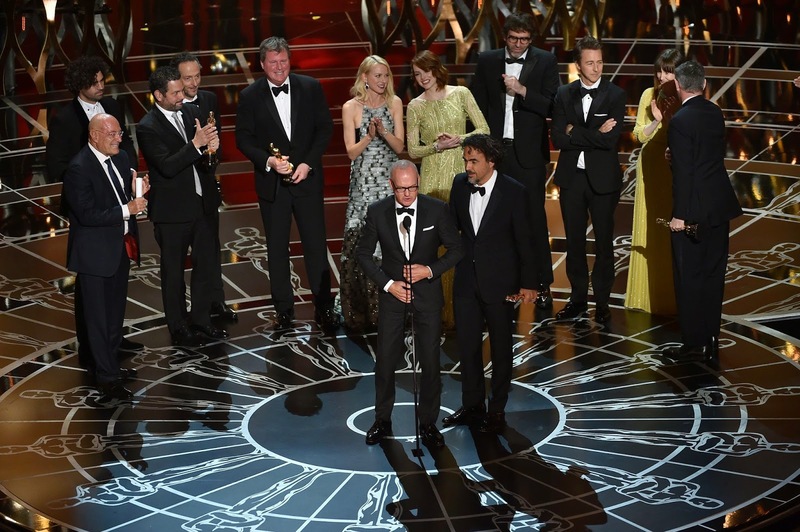 Arnon Milchan took to the stage as his film Birdman swept the key categories at the 2015 Academy Awards, including Best Picture. 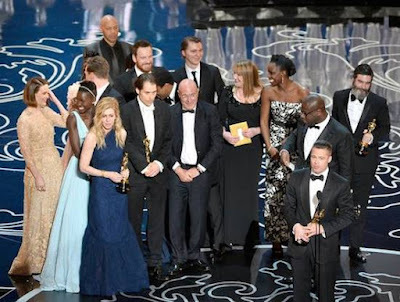 This was the second year in row that Milchan ascended the stage at the grand finale of the Oscars to celebrate with his jubilant cast and crew. As is his practice, Mr. Milchan kept silent and let stars shine. Arnon Milchan is now ranked the 2nd wealthiest movie-mogul in the Hollywood film industry, coming in just behind George Lucas, and well ahead of Seven Spielberg, who holds the #3 spot. Milchan is estimated to be worth $5.2 billion. For the second year in a row, Arnon Milchan / New Regency films are up for nine Academy Awards. 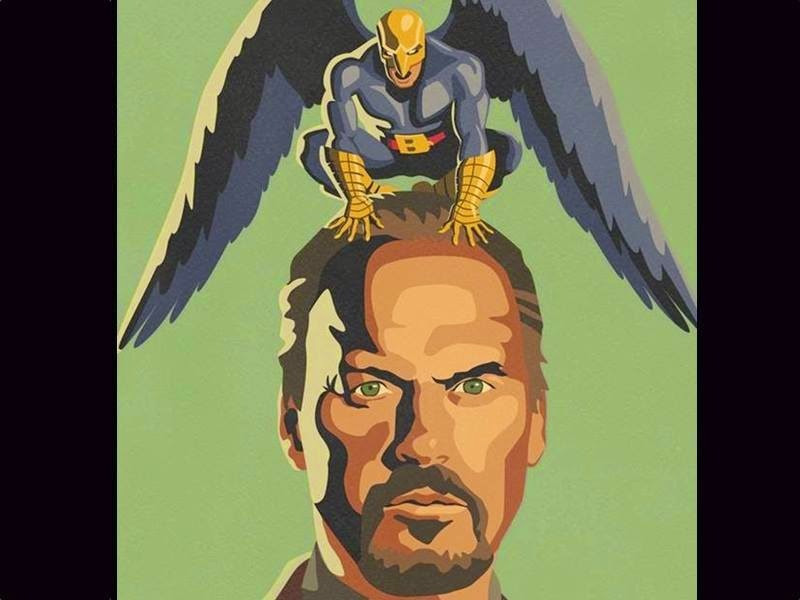 Birdman, staring Michael Keaton, is up for Best Picture, Best Actor, Best Director and more. Milchan's Gone Girl is up for Best Actress. Most analysts agree that Milchan will face stiffer competition this year, compared to last year when Twelve Years a Slave was an obvious favorite. New Regency Chairman, Arnon Milchan has ditched plans to produce a paranoid thriller starring Steve Carell that was to be set in North Korea. The decision came after hackers calling themselves the 'Guardians of Peace' threatened to attack theaters showing “The Interview,” which centers on an assassination attempt against dictator Kim Jong-un. The country has denied involvement but praised the hackers. New Regency announced the project in October with plans for director Gore Verbinski to start shooting in March. The untitled film was the first in a multiyear deal between Verbinski’s Blind Wink and New Regency. Steve Conrad (“The Secret Life of Walter Mitty”) was writing the screenplay. New Regency had no comment. This news was first reported by Deadline.com. As usual, Arnon Milchan's accomplishments come in waves... and once again he sits at the top of the cinematic world, however temporarily. With two tremendous, high-quality productions; Gone Girl and Birdman, Milchan's New Regency has moved firmly in the direction of Milchan's roots as an artsy risk-taker. Gone Girl has already passed $300,000,000 in world wide box office sales, making it currently the top grossing film in the world. 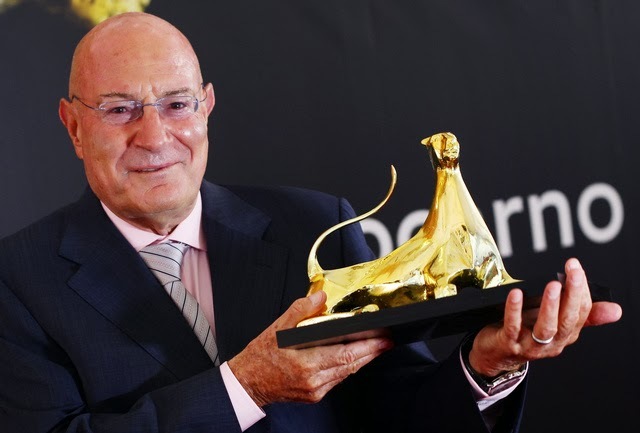 Mr. Milchan will also receive the 2014 Israel Film Festival Visionary Award in Los Angeles on October 23rd. Producer Arnon Milchan was the special Honoree for the Los Angeles Police Foundation's annual gala that was held this year at Fox Studios. 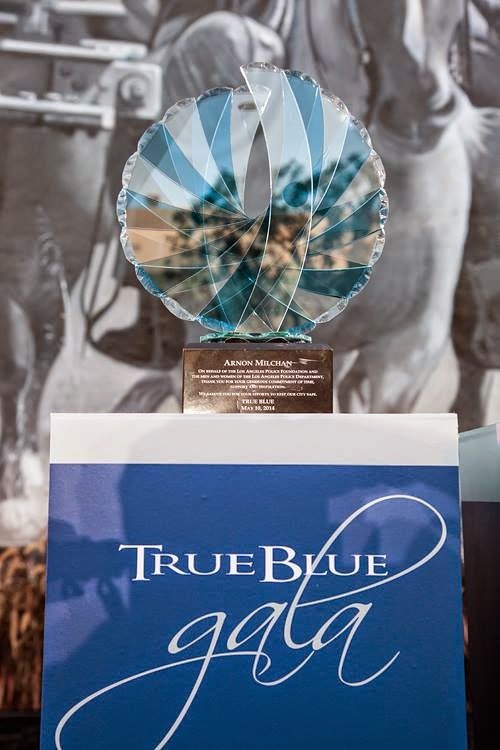 Los Angeles Mayor Eric Garcetti, LAPD Chief Charlie Beck, and Los Angeles Police Foundation Chairman Jim Wiatt were all on hand to present Mr. Milchan with the award for his contributions to the community and support for Los Angeles law enforcement. The Los Angeles Police Foundation is the largest source of private support for the LAPD and funds equipment and technology upgrades, specialized training, community outreach and youth programs that are not provided by the city budget. 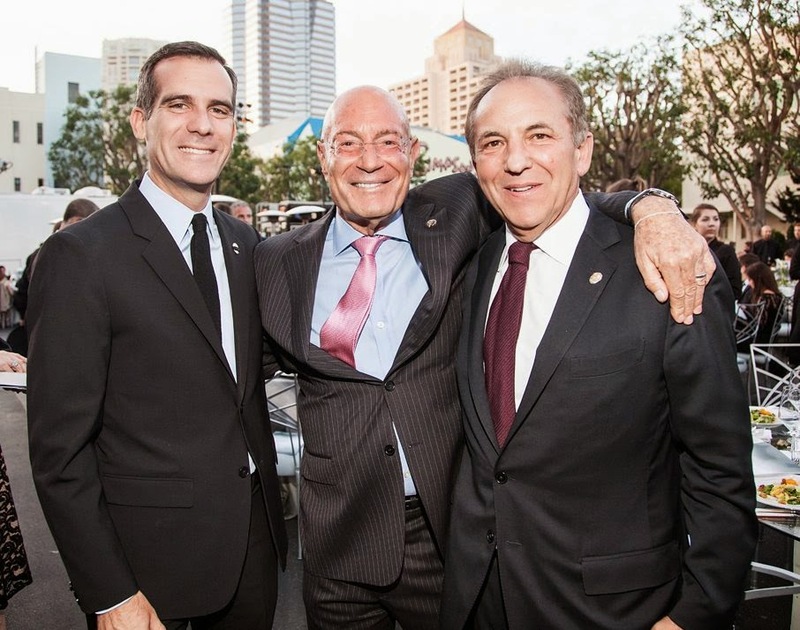 LA Mayor Eric Garcetti, Arnon Milchan and Los Angeles Police Foundation Chairman Jim Wiatt. It is photo's like this that drive conspiratorial anti-Semites stark raving mad. The Packer and Murdoch families are the Hatfield and McCoy's of Australia's business world, and have been for many years. Arnon Milchan was the first person to bring the two family-businesses together when the billionaires, Kerry Packer and Rupert Murdoch, both invested in Mr. Milchan's New Regency film production company, which was established in 1991. The book Confidential describes how Mr. Milchan brought the antagonists together, on Pages 135-138... and Mr. Milchan prides himself on playing the peacemaker in that ongoing feud. Kerry Packer passed away on December 26th of 2005. His son David Packer took over the family business, and eventually sold his 25% in New Regency in 2008. With Arnon Milchan's help, James Packer has recently reentered the Hollywood scene with a $450 million dollar investment in RatPac, a joint venture with Hollywood director Brett Ratner. There is no word on Mr. Murdoch's attitude towards the growing business relationship between his New Regency partner, Mr. Milchan, and Mr. James Packer. But one strong indication might be a series of events that transpired only minutes after Mr. Packer returned to Australia from a business meeting with Mr. Milchan in Israel. Upon disembarking from his flight from Israel, Mr. Packer headed to his home in the Bondi Beach neighborhood of Sydney. As he approached his home he was confronted by a longtime friend, Australian TV executive David Gyngell. Words were exchanged between the two, and within moments, a full blown brawl broke out. 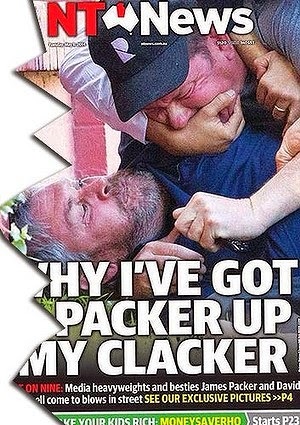 The two were eventually separated; no serious injuries were inflicted, short of bruised egos and Mr. Packer's black eye. The far more fascinating angle on this little event involves the role that Mr. Murdoch's media outlets in Australia have gleefully played in its aftermath. Murdoch's News Corporation was quick to pay hundreds of thousands of dollars to purchase video and photo's of the physical confrontation, and to plaster the images all over the world... not forgetting of course to mention that Mr. Packer was just returning from a meeting with Mr. Milchan... and Packer's new Hollywood investments. The relevance of the Hollywood/Milchan newspaper side-note in this story is not at all clear... other than to perhaps to send a message. 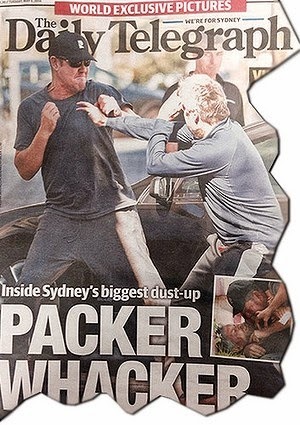 Videos of the brawl have since gone viral world wide, but not before Mrudoch's News Corporation plastered water marks all over them so that everyone will know that: 'this James Packer brawl is brought to you courtesy of Mr. Mrudoch." ... and oh yeah, he [Packer] just came back from a meeting with Mr. Milchan. 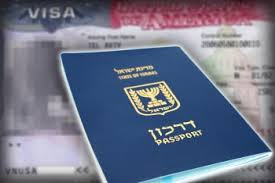 Roll Call: US Intelligence Authorities Resist adding Israel to US Visa Waiver Program... Sites Arnon Milchan case. Washington DC - The capital hill publication Roll Call reported on the 16th that “The U.S. intelligence community is concerned that adding Israel to the US visa waiver program would make it easier for Israeli spies to enter the country." That's a new one. In response to Mr. Gelman's inquiry. Mr. Broder stated in writing the following: "Arnon Milchan's name was not mentioned when congressional aides told me of the US intelligence community's concerns about Israeli spying with regard to the US Visa Waiver Program. I mentioned him and the others as past examples of Israeli spying in the United States." Other than Mr. Milchan, all of the others sited by Mr. Broder in the article were people with US citizenship and of no need for a visa to the United States. In his article, Mr. Broder stated that: "Several congressional aides said that members of the intelligence community, as well as officials from the State and Homeland Security departments, expressed those concerns in a classified briefing to lawmakers and staffers on the House Judiciary Committee, which has jurisdiction over visa issues." Mr. Broder's article has made quite the stir internationally, but as is often the case with articles such as these, it relies heavily upon unconfirmable anonymous "sources", and has the whiff of a planted story by someone with an agenda other than just honestly conveying the news. Opening of Milchan's Noah in NYC. UPDATE: Noah tops $300 million world wide. 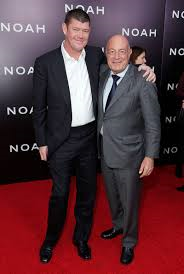 Arnon Milchan and Paramount's Noah stormed to the very top of worldwide box office receipts on opening weekend...raining on the cinematic competition... flooding theaters with moviegoers... sailing to success...and every other cheesy Noah metaphor that headline writers could compose. Noah's success will undoubtedly further fatten Mr. Milchan's wallet. It's been a busy few weeks for Arnon Milchan. 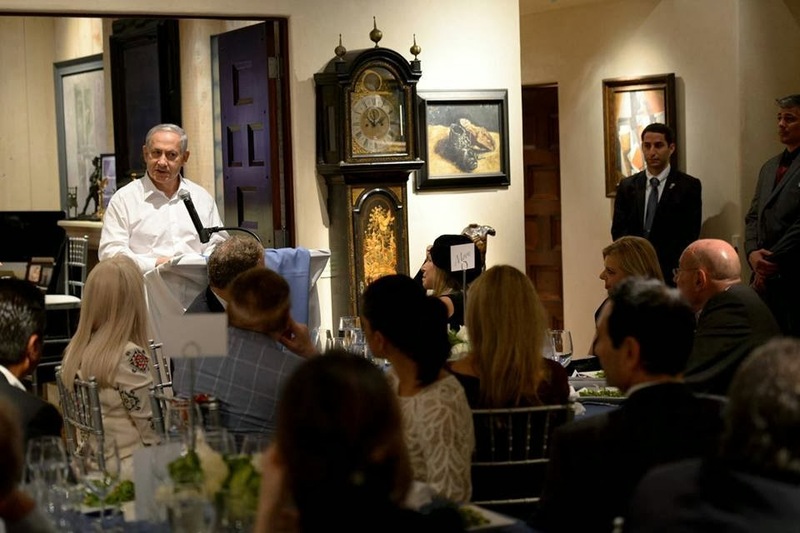 After his film 12 Years a Slave won Best Picture at the 2014 Academy Awards, he hosted a private party for Israeli Prime Minister Benjamin Netanyahu and a cadre of A-list stars and senior Hollywood executives at his Malibu estate. A few weeks later, his production of Noah hit the big screen, shooting to the top of worldwide ticket sales, including in the United States. Hard to imagine what the encore will be. NOAH FEATURETTE with Quotes from Cooke Pictures on Vimeo. The film has story, action and special effects qualities that should be appealing to a wide audience. However, if the Evangelical communities rally behind movie, and there is a good possibility that they will, Noah has all the makings of a real blockbuster. Stay tuned. Certainly, we would agree that Mr. Milchan is "the world's favorite Israeli spy". He is also probably the best known and most fascinating Israeli spy in history, with a story worthy of a film franchise alas James Bond. 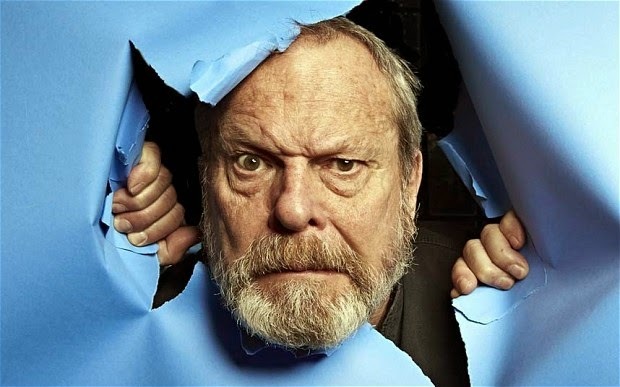 Gilliam himself would have a role. While Gilliam and Milchan worked together, unbeknownst to Gilliam, Mr. Milchan was an extremely active agent during that period, on a number of covert fronts, including nuclear... and yes, as an "arms dealer", for a lack of a better term. Brazil itself was financed through such activities unbeknownst to Mr. Gilliam at the time... but certainly he had his suspicions. 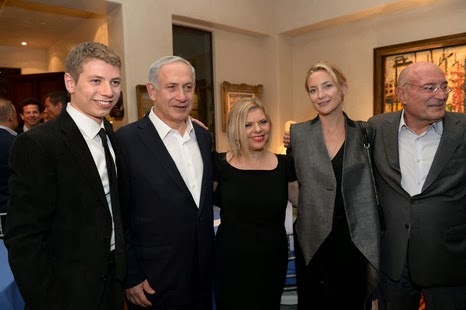 From left to right: Yair Netanyahu (son of the Sara and PM Netanyahu), Benjamin Netanyahu, actress Kate Hudson and Arnon Milchan. 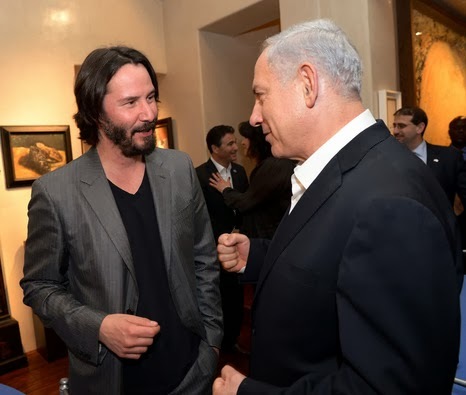 Above the shoulder of Yair Netanyahu on the left, looking at the camera from a distance is Gary Ginsberg, Executive Vice President of Corporate Marketing and Communications at Time Warner Inc.
Prime Minister Netanyahu with Keanu Reeves. To the right of Mr. Netanyahu in the distance is the United States ambassador to Israel, Dan Shapiro. An interesting addition to this selective gathering in California. Keanu Reeves looks on as Kate Hudson and Mrs. Sara Netanyahu share a moment. Sometimes in pictures like these, the more interesting captures are the people in the background. For example, in this photo, multi-billionair and mega-casino mogul Sheldon Adelson is seen sitting in the background between Sara Netanyahu and Keanu Reeves. Mr. Adelson is currently ranked the 8th richest person in the world by Forbes. He is also the single largest contributor to the Republican Party. 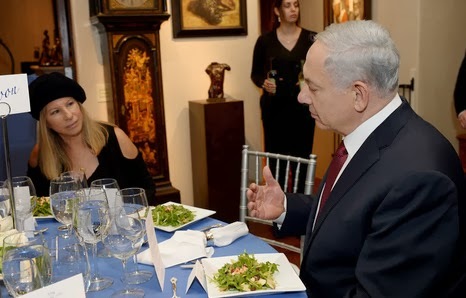 In a testament to the bipartisan nature of the gathering, At the same table as Mr. Adelson is staunch partisan Democrat Barbara Streisand in conversation with Prime Minister Netanyahu. Arnon Milchan is probably the only person in the world who could get Sheldon Adelson and Barbara Streisand in the same room together... and at the same table, without a fight braking out. Barbara Streisand and Sheldon Adelson at the head table with Milchan and the Netanyahu's. 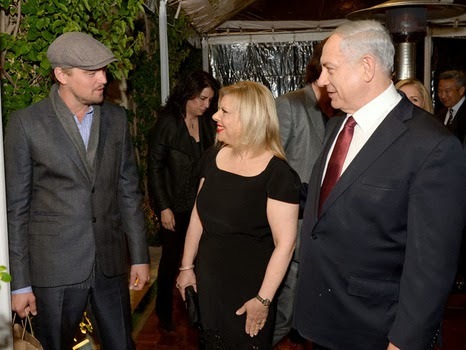 The Prime Minister and wife Sara Netanyahu chat with mega-star Leonardo DiCaprio. 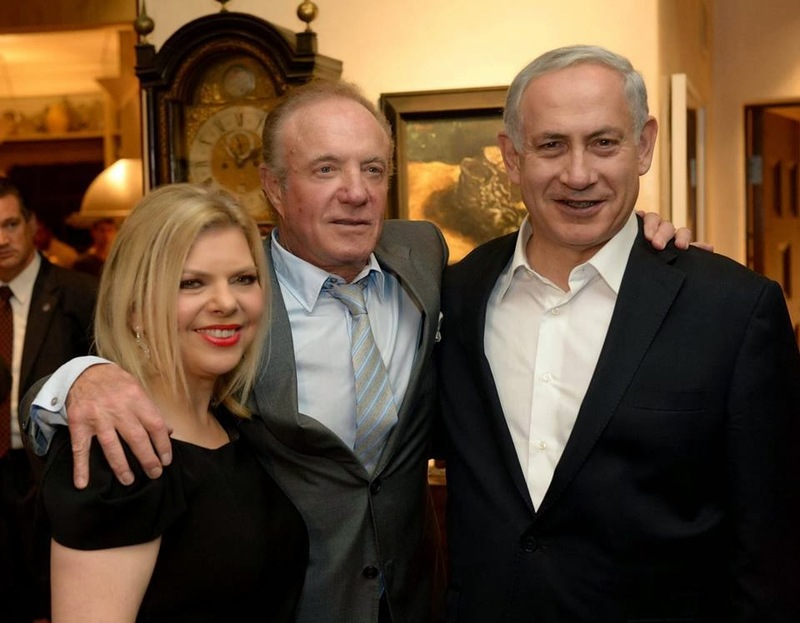 James Caan and Mr. and Mrs Netanyahu. The Milchan seaside estate is the former home of legendary Director John Frankenheimer, who directed such classics as the Manchurian Candidate and Birdman of Alcatraz. It is also the house where Robert Kennedy spent his last night before his assassination by Sirhan Sirhan in 1968 at the Ambassador Hotel the next day. Liberal-Libertarian Comedian Bill Maher, host of HBO's Real Time With Bill Maher was also in attendance at the event. The National School Boards Association (NSBA) is partnering with Arnon Milchan's New Regency and Penguin Books to distribute copies of the acclaimed film, book, and study guide of 12 Years a Slave to America's public high schools. The initiative, coordinated by Montel Williams, will start to distribute 12 Years a Slave nationwide in September 2014 in concert with the new school year. NSBA President David A. Pickler stated that; "We believe that providing America's public high school students the opportunity to bear witness to such an unrelenting view of the evils of slavery is essential toward ensuring that this history is never forgotten and must never be repeated." 12 Years a Slave director Steve McQueen stated that; "Since first reading 12 Years a Slave, it has been my dream that this book be taught in schools. 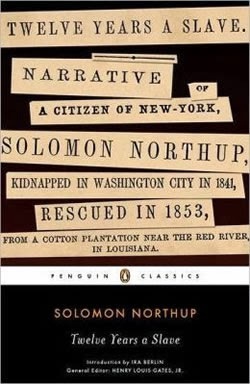 I am immensely grateful to Montel Williams and the National School Boards Association for making this dream a reality and for sharing Solomon Northup's story with today's generation." Fresh off of his Academy Awards success with Best Picture 12 Years a Slave, Arnon Milchan will be hosting a low profile dinner-gathering of Hollywood's top talent and executives at his Malibu estate this week. Israeli Prime Minister Benjamin Netanyahu will be the guest of honor and the press is not invited. The exclusive, intimate gathering will consist of about 75 of Hollywood's a-list talent and studio executives. Among the invitees are director James Cameron, Barbara Streisand, Robert De Niro, Leonardo DiCaprio, Clint Eastwood, Anthony Hopkins, Ben Affleck, Billy Crystal, Warren Beatty, Annette Bening, Jeremy Renner, James Caan, Kate Hudson, and all of the top studio executives. The event is informal and will include a no-holds-bar discussion. Guests will be encouraged to asked any questions of the Prime Minister, no matter how controversial. Mr. Netanyahu will encourage those gathered to use Israel as a location for film and television productions, and will announce various financial incentives to attract Hollywood productions to Israel. As revealed in the book Confidential, Arnon Milchan has over the years emerged as Israel's unofficial ambassador to Hollywood. 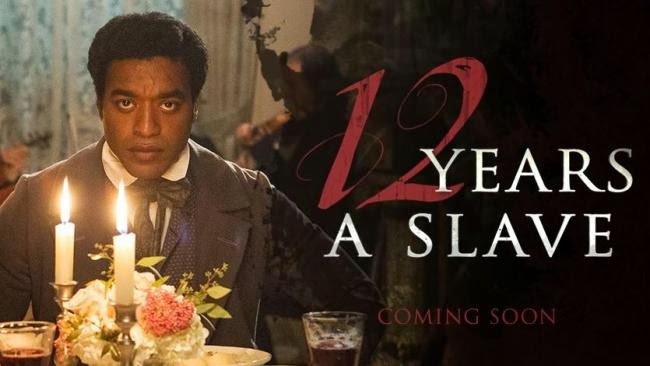 New Regency's 12 Years a Slave wins the 2014 Academy Award for Best Motion Picture. Producer Arnon Milchan thus completes an amazing journey from his controversial role in South Africa of the 1970's to the very pinnacle of Hollywood success and recognition, with a film that depicts the evil of racial discrimination in the starkest possible form. Some will view all of this with cynicism, others will see a strong measure of redemption... either way, it is a hell of a story. 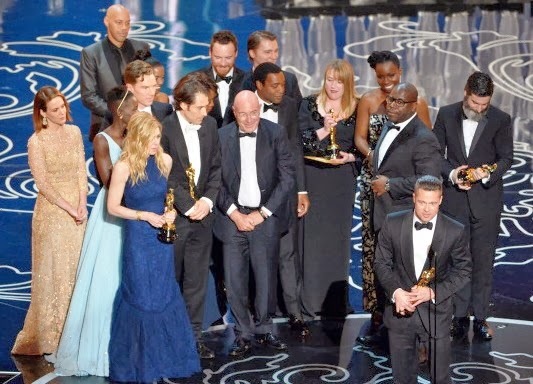 Arnon Milchan not Listed as Producer of '12 Years a Slave' by the Academy of Motions Pictures. The film 12 Years a Slave would likely not have been made without producer Arnon Milchan, who co-financed the movie and distributed the film through his distribution agreement with Fox. The Academy of Motion Pictures announced this year's Oscar nominations on March 16. Interestingly, the Academy nominated 12 Years a Slave for 'Best Picture', but failed to list Arnon Milchan as one of the producers up for the Oscar. 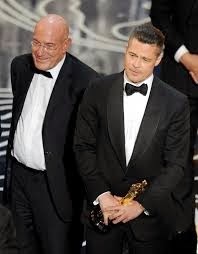 The reason for Mr. Milchan's omission by the Academy is not yet clear. Updates to come. Coincidentally or not, one day before the Academy Award nominations announcement, the UK Guardian ran a lengthy article titled The Truth About Israel's Secret Nuclear Arsenal, in which Mr. Milchan featured prominently. The Article, written by the Guardian's Diplomatic Editor, Julian Borger, described at length key exclusive elements from Milchan's biography Confidential. Arnon Milchan...New Regency....'12 Years a Slave'....Golden Globe Best Drama...On track for 'Best Film' Academy Award? Arnon Milchan was in South Africa recently promoting 12 Years a Slave, which was co-produced and released by his company New Regency, and distributed by Fox under the Fox-New Regency distribution agreement. South Africa is a country he knows well and has special feelings for. 12 Years a Slave won the coveted Golden Globe 'Best Drama' of 2013. Oscar nominations are to be announced on Thursday, January 16th. Heading into production a US distributor had yet to be attached. Summit was a potential candidate but its imminent acquisition by Lionsgate soon ruled out the company. Paramount, which had an output deal with Plan B since 2005 and whose chairman Brad Grey co-founded Plan B with Pitt, was also a potential distributor but ultimately was not seen as the right fit. Pitt’s outfit would instead turn to Los Angeles-based financier New Regency, whose chairman Arnon Milchan and CEO Brad Weston separately had long-term relationships with Pitt and his executives. For New Regency and all the backers, McQueen’s film represented the ultimate in highbrow but accessible film-making. In April 2012, a few weeks before filming began, New Regency agreed to co-finance and distribute the picture via Fox Searchlight, per its output deal with Fox. In fact, the company committed less than 48 hours after reading the script. “New Regency were the last people in, but I think it’s fair to say they are the reason the movie got made,” acknowledges Gardner." The dark corners of the internet are ablaze with rage. A leading Jewish Hollywood producer, Arnon Milchan, has recently come in from the cold as an Israeli nuclear spy. Could there possibly be a greater stereotype for the Israel-hater to harp upon? The most prolific accusation to be heard from the usual suspects is the word “traitor”, which in this case says more about the accuser than the accused. The producer of such movies as Pretty Woman, LA Confidential, and this year’s Oscar favorite Twelve Years a Slave, is neither a US citizen nor a permanent resident of the United States. So who exactly is he a traitor to? 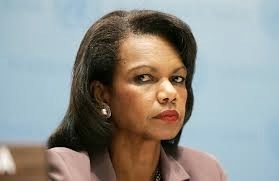 Hypocrisy and lies about spies are as American as apple pie. The US spends over $52 billion annually on covert intelligence gathering, including the financing of a CIA-Hollywood unit for messaging to the masses. 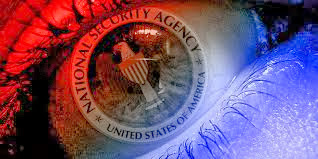 Simply put, there is no country in the world that spends even a fraction of its resources on the level of spying on other countries that the United States does. There is a legitimate case to be made that that is a good thing. But what is not good, and is even ugly, are the self-righteous, indignant claims of outrage and displays of cheep patriotic bravado when somebody is found to be doing in our country far less than what we routinely do abroad, every single day. Like in the movie Casablanca, they are shocked, SHOCKED to learn that there is gambling going on in this establishment! We know all of this jaw-dropping information because Bradley Manning, a United States Army soldier who was convicted this year of violations of the US Espionage Act had released the embarrassing and classified Rice memo to Wikileaks. 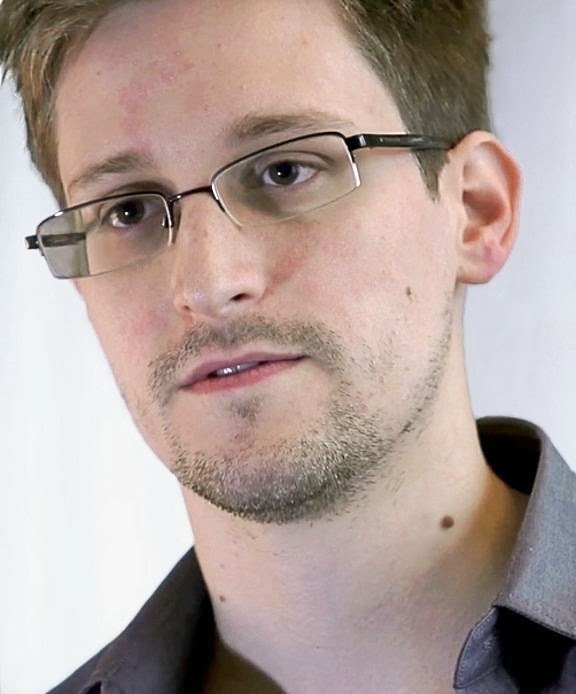 And that was well before US Intelligence Analyst Edward Snowden released the mother-load; the entire US intelligence “black budget”, which clearly showed Israel to be a "priority target” of US espionage... right there in black and white. In fact, with the Snowden releases, it seems that every week brings new revelations of US spying on Israel and other allies. It's the "gift" that keeps on giving. Both cases of self-inflicted damage to US Intelligence (Manning and Snowden), amount to nothing short of smoking-gun evidence of aggressive US spying on Israel, on a massive scale for such a small country… far beyond anything that Hollywood producer Arnon Milchan, or lowly GS-12 Navy Analyst making less than $40,000 a year, with no access to vital secrets, Jonathan Pollard, had, or even could inflict upon the United States in their wildest dreams. SIDE NOTE: With both Manning and Snowden being WASP's, like Aldrich Ames, John Walker, Ronald Pelton and so many others, one might cynically wonder if WASP's should be viewed as potentially disloyal to US national security interests... as paranoid anti-Semites would have it with Jews. In the meantime, as the usual suspects question Jewish loyalties from the luxury of their armchairs, three Jewish-Americas working for the US government and who were likely US intelligence assets, are rotting in enemy prisons at this very moment, basically abandoned by their own government (see the bottom of this post for their shocking predicament), and predictably ignored by the usual suspects. Thankfully however, no American is rotting in an Israeli jail and few Israelis are throwing childish anti-American temper tantrums in dark corners of the internet because of these US spying revelations. The reverse cannot be said to be true. It appears that more than a few of our fellow Americans are less than adults about these matters, and tend towards whining and grudge-holding. How do they think the United States even found out about the Israeli nuclear program in 1958? By a U-2 spy plane violating Israel’s airspace, that’s how. Conspiratorial anti-Semites also love to whine about the accidental Israeli attack on the USS Liberty off the coast of Egypt in the midst of the fog of the 1967 Six Day War... but for some strange reason, they never seem to mention what the USS Liberty actually was. It was; a US spy ship. Even the most egregious case of Israeli spying in the United States involving Jonathan Pollard, was primarily a case of Israeli spying in the United States as opposed to spying on the United States. A distinction with a real meaning, because intentions and context in the world of espionage actually matter. Unlike the above mentioned, Pollard intended no harm to the United States, and he was never charged with treason or aiding an enemy state. That is an inconvenient FACT that knee-jerk, armchair "patriots" never bother to concern themselves with. He was charged with violating Title 18 of the United States Code, section 794(a), divulging classified material. That's it. Those who claim greater harm to the United States beyond the public charges against Pollard, speak as though they are privy to information that is not available to others. A tactic reminiscent of the old Soviet Union, where the accused was routinely deemed guilty by way of secret or concealed evidence that only the politically connected and those “in the know” are supposedly privy to. As spelled out clearly in the recently declassified 1987 CIA Damage Assessment Report on the Jonathan Pollard case, Pollard’s Israeli handler, spymaster Rafi Eitan, who also ran Arnon Milchan and had personally captured war criminal Adolph Eichmann years earlier, was seeking nuclear, military and technical information on Israel’s surrounding Arab states – not on the United States. They were seeking to tap into US intelligence to garner information on their regional enemies, which might help in their ongoing struggles to survive in a bad neighborhood. Information that in hindsight, probably should have been provided through official channels in any event. That is what the public information is clear about. The most common of the lowly lies are that Pollard gave away codes.... or that he gave away names of agents in foreign countries.... etc... None of which he did; none of which he was accused of; none of which he was charged with; none of which he was convicted of; and none of which he even had access to had he wanted to commit such a crime in the first place, given his lowly position. Shame on those who continue to make such accusations without producing the slightest evidence, and continue to portray Pollard as some kind of super-spy in complete contradiction to the CIA Damage Assessment Report in this case, which is available for anyone to read. Yes, a government employee releasing any form of classified US intelligence to a foreign country, friendly or not, is an illegal act to be sure, and it was not the bumbling, lowly Jonathan Pollard’s call to make, no matter how he justified it in his mind. When he was caught, he was rightly sent to prison. But his outrageously over-the-top sentence was an act of serious corruption in itself. As Professor Angelo Codevilla, a former senior staffer on the US Senate Select Committee on Intelligence who was there at the time, asserts: It was a case of a powerful man (Casper Weinberger), whispering sweet nothings in the ear of a corruptible judge (by way of a secret affidavit), who took it upon himself to then ignore a plea bargain and do the powerful man's personal bidding. Weinberger's last-minute letter to the judge, which is full of generalities and highly charged/prejudicial words, was devoid of any evidence. Weinberger, a man known for his anti-Israel leanings, who had called for strict measures against Israel following its bombing of the Iraqi nuclear reactor in 1981, made outrageous accusations against the accused for which he had no personal knowledge and no evidence, and for which the accused was never even charged with. Weinberger's last-minute private letter to the judge was declassified through a FOIA request in 2010. The long and short of it is that Pollard was sentenced by this judge to life in prison without a trial. WITHOUT A TRIAL. Even in the Soviet Union they pretended by at least conducting show trials. 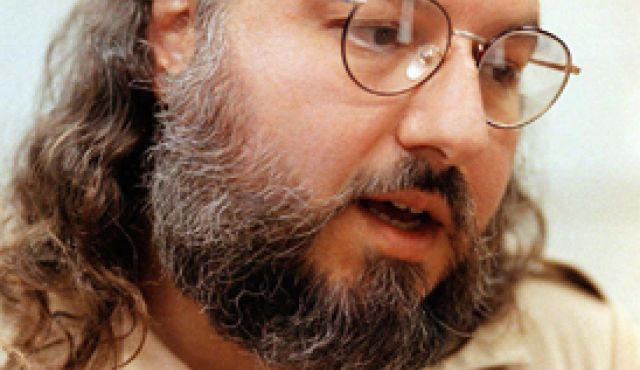 After almost thirty years, during which time the United States has routinely pressed Israel to release murdering terrorists with blood on their hands as "confidence building measures"... and after all of the truly aggressive US spying on Israel that has been so ingloriously exposed; Pollard’s continued imprisonment is nothing short of a scandal resembling a hypocritical, old-school vendetta. It's gotten to the point where The United State is offering to exchange Pollard for the release of Palestinian terrorist murderers from Israeli jails. In other worlds, the US has stoop to holding a hostage to trade for murderers. With every passing day, Pollard looks more and more like a martyr and a victim sitting in a gulag, a hostage, rather than a criminal doing his just time. In a historical perspective, his case could very well be placed on the same level as that of the Alfred Dreyfus affair. Is that really in our best interest? And more importantly, is that really in the interest of American justice? Is it a dignified reflection of US Justice? 2. Robert Levinson - A "retired" DEA and FBI agent, Levinson was taken hostage on March 9, 2007 on Iran's Kish Island. Note how until recently, the US has described him as a "private investigator". On December 12, 2013, the AP confirmed that he was working for the CIA. So the US's new story is that he was "on an unapproved mission". Yeah right. The United States has since reached political agreements with Iran without, in so far is known, even attempting to condition those agreements on Levinson's release. A shocking betrayal. 3. Alan Gross - In December of 2009, Alan Gross was arrested in Cuba while working as a USAID "private" subcontractor. He was caught with electronic communications equipment. He was/is still rotting in a Cuban jail as president Obama smilingly shook the hand of Cuba's President, Raul Castro, at the funeral for Nelson Mandela in South Africa. Gross is scheduled for release in over a decade from now in 2024. 4. And then of course there is Jonathan Pollard, held in a US gulag many years beyond anything that could even remotely be considered "justice". Note that all of these prisoners/hostages have long hair and beards.... and look similar in demeanor. hypocrisy and lies about spies indeed. Joseph Gelman is the co-Author of the book Confidential, The Life of Secret Agent Turned Hollywood Tycoon Arnon Milchan, which outed one of the most prolific producers in Hollywood history as a longtime spy for Israel’s Bureau of Science Liaison. SKY NEWS: "In a place built on fantasy, where the lines between truth and fiction can be blurry, proof again that real life can be just as interesting"
Arnon Milchan: "I Wish I Hadn't Denied It." Congratulations to Israel for being accepted as the first non-European full member of CERN today, the prestigious European Organization for Nuclear Research, and the worlds largest ongoing science project. Given Israel's amazing scientific accomplishments, this was an easy call for CERN from a purely scientific perspective. 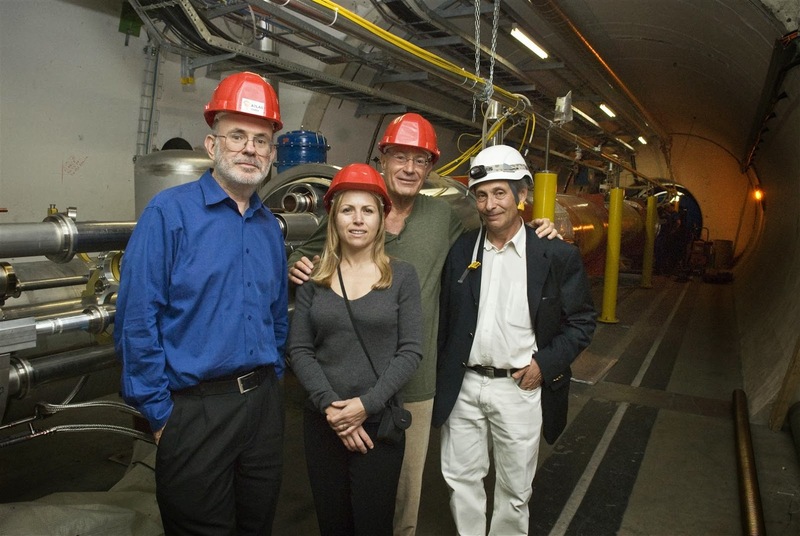 As revealed in the book Confidential, Arnon Milchan was given a VIP tour of CERN on April 25, 2007. An interesting tidbit considering Milchan's key covert role in the Israeli nuclear program in decades past. CERN, the European Organization for Nuclear Research.